HSM Magazines NEW YEARS EDITION! 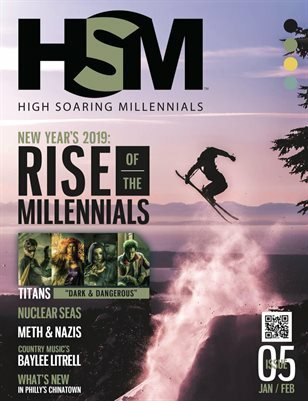 Don’t miss this issue of High Soaring Millennials Magazine… featuring articles on Winter Fashion, Progressive Millennials,Recipes, Money Matters,Relationships,Travel,Politics, and everything synonymous with the power of the millennials! Read about the stars of the ultra Violent new Teen Titans series as they are "Dark and Dangerous" Everything Avocado your foodie mind can take.Also check out Philly's Chinatown a growing millennial haven.